How can I tell if my phone or tablet is compatible with EZ Nippon? As long as your unlocked mobile device (phones, tablets, etc.) supports any of the frequencies below, it is compatible. It is recommended that you consult the manual of your device or its manufacturer. 4G FDD-LTE(Xi®): Band 1(2100MHz)/Band 19(800MHz)/Band 21(1500MHz)/Band 3(1800MHz Tokyo, Nagoya and Osaka exclusive）. Some models are not supported as of yet: some dual-SIM phones, Mi phones, white-box phones and phones from telecom-owned brands. Please check the frequencies your phone supports. The following models contain incompatible components. Although there have been successful cases, they are not recommended to be used with EZ Nippon. The ASUS Padfone Infinity, LG Google Nexus 5, SONY Xperia C5 Ultra, SONY Xperia C5 Ultra Dual and SONY Xperia M5. Due to the firmware limitations of Taiwanese models, the LG G2/G3 support only 3G internet in Japan. Please note that while the link contains all verified compatible models, it is for reference only. Third-party alterations or updates on devices may affect use. The list is not comprehensive due to the sheer amount of phone models on the market. For the list is unclear, please refer to the official specifications of the original manufacturer. Can I use EZ Nippon on a 2G／GSM device? No. This service cannot be used on 2G／GSM devices. I’ve heard that SIM cards come in many different sizes. How should I pick? 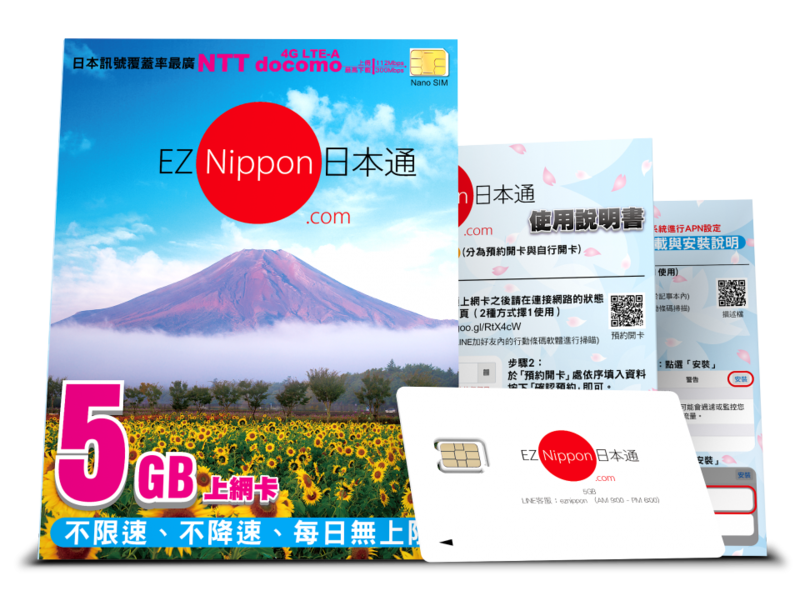 EZ Nippon provides a standard size nano SIM (apporx. 8.8mm*12.3mm). You may also purchase adapter cards according to the specifications of your device.